Mordian 7th Regiment: Heresy Era Dark Angels - Vigilator and tanks painted! Heresy Era Dark Angels - Vigilator and tanks painted! Pressing on towards the finish line on the army for NOVA 2018! The last of the infantry models completed with the Vigilator, and the three tanks intended for the force as well. There's still a few more vehicles on deck, but as they're not part of any the NOVA army lists they can wait for a rainy day! 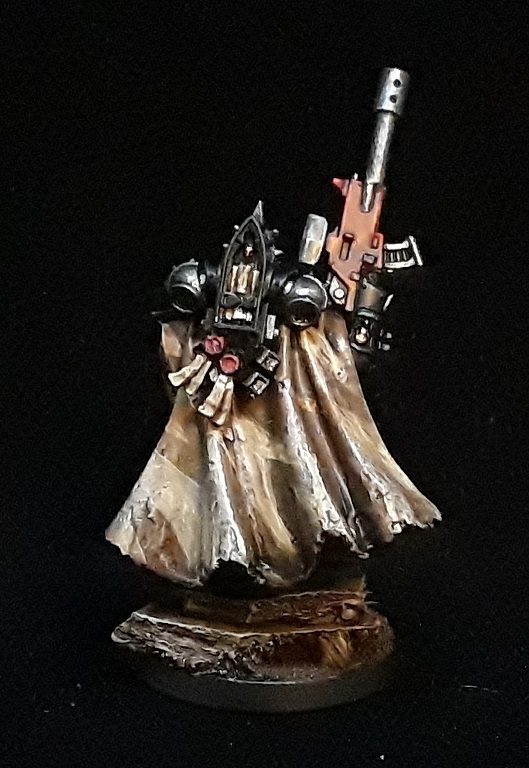 The Vigilator was made from the new Cypher model, with some admittedly ham-fisted greenstuff to clean up the areas where the Lion's Sword was carved away. Went with a dusty dirty cloak in the same colors as on the bases for his Cameleoline. Haven't had a chance to put him on the table, he's very much there just to make up points in a couple lists. On to the tanks! 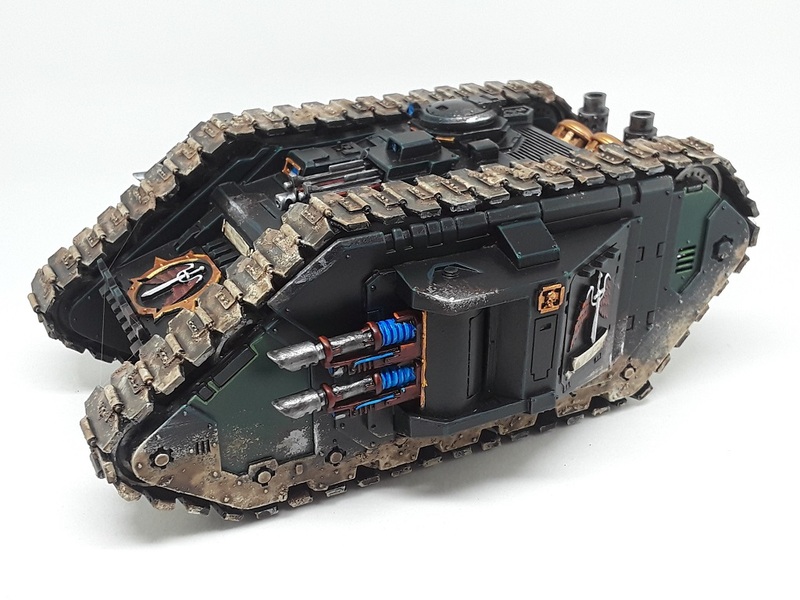 Tried something a little different on the treads and included some Agrellan Badlands texture paint to add a little extra oomph to the weathering, and really like how it turned out. Going to have to do the same to the Termites next! 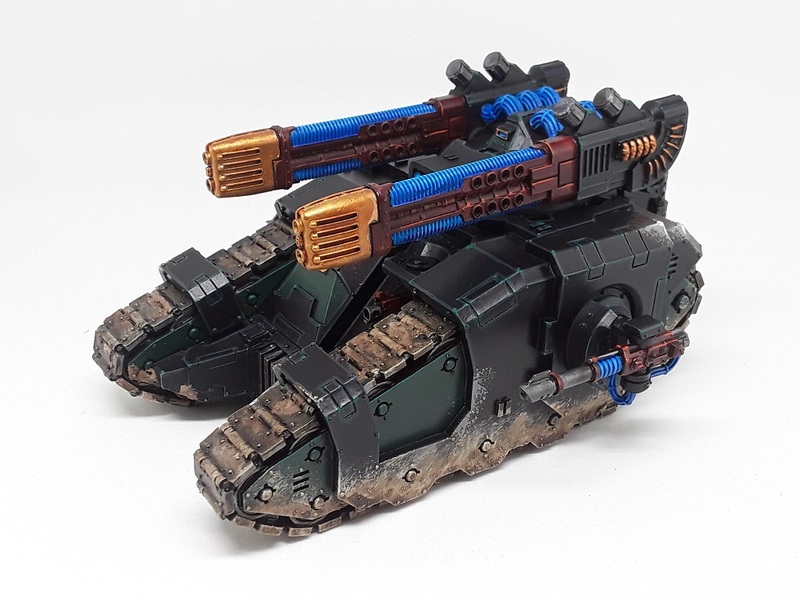 One of two Land Raiders with the awesome Blood and Skulls wrap-around treads. Still gotta add a little more decoration to the green areas on the hulls, and then a second pass of weathering. They need a little something extra. Can't do Dark Angels without doing some crazy plasma! 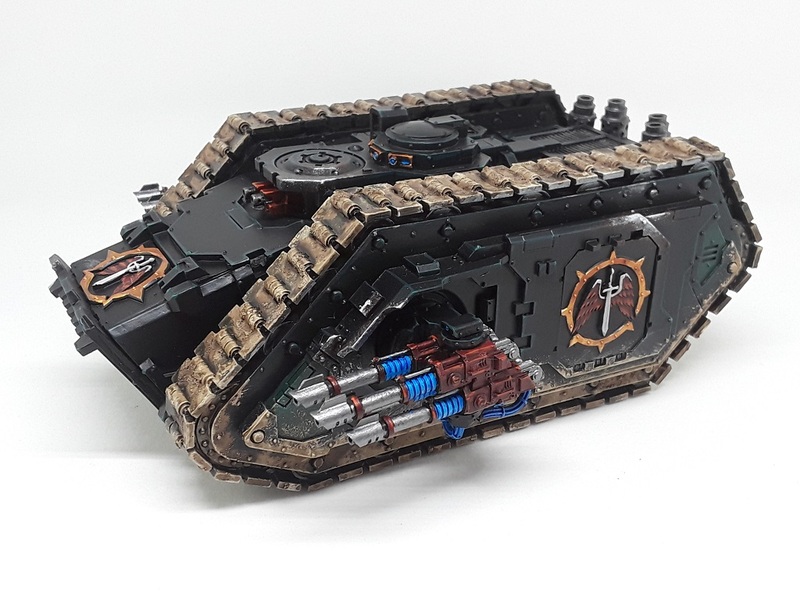 The Sicaran Omega Tank Destroyer may look a litle ungainly but it has really performed well for me on the table so far. 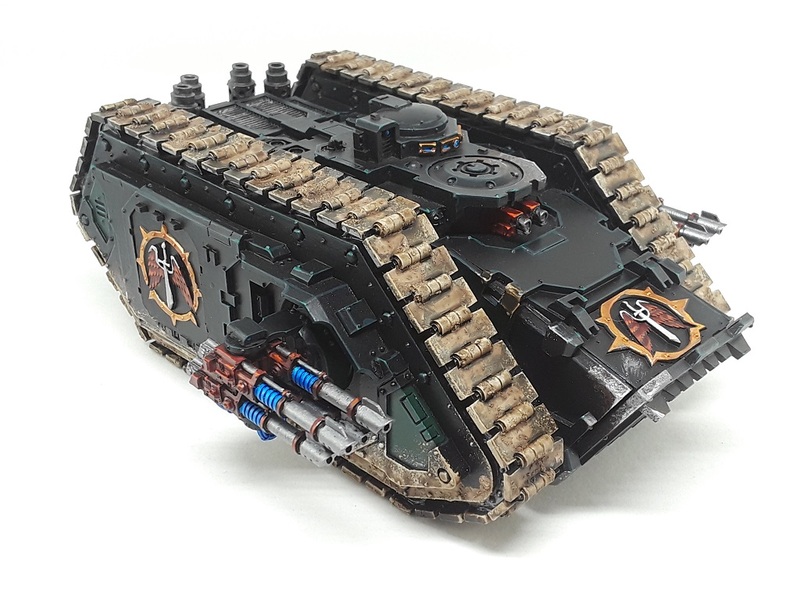 Possibly my favorite Sicaran variant thus far! Also went with a white background for the tanks and quite like how it looks. I think the back background with the black miniatures may be a little too dark. Time to re-shoot the whole army! Brilliant contributions to a worthy cause! The Vigilator looks ace mate! Love his gun. 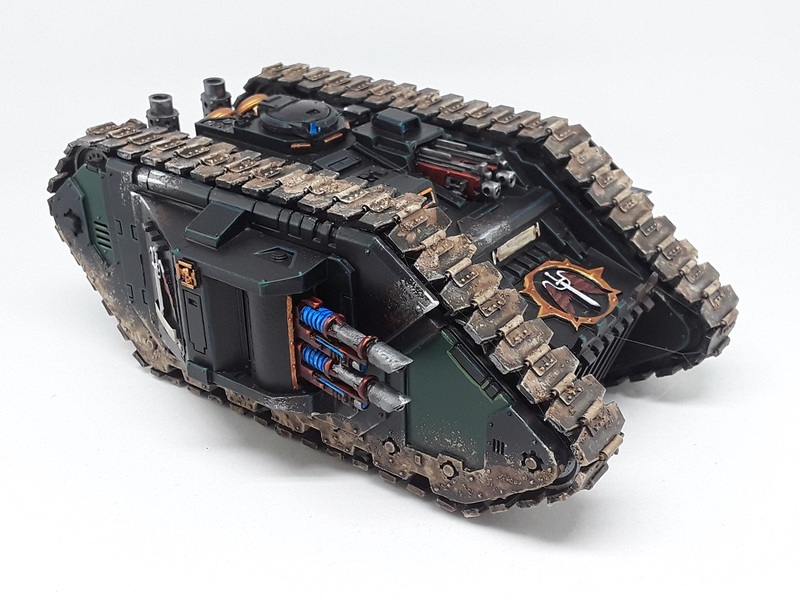 And the Sicaran is absurd, love it. Somehow you’ve made the Plasma Cannonades look even bigger! Haha! Aye, the cannons are just slightly ridiculous! You using a light box for your stuff? Thanks! Indeed, picked up a Foldio II and really digging it! 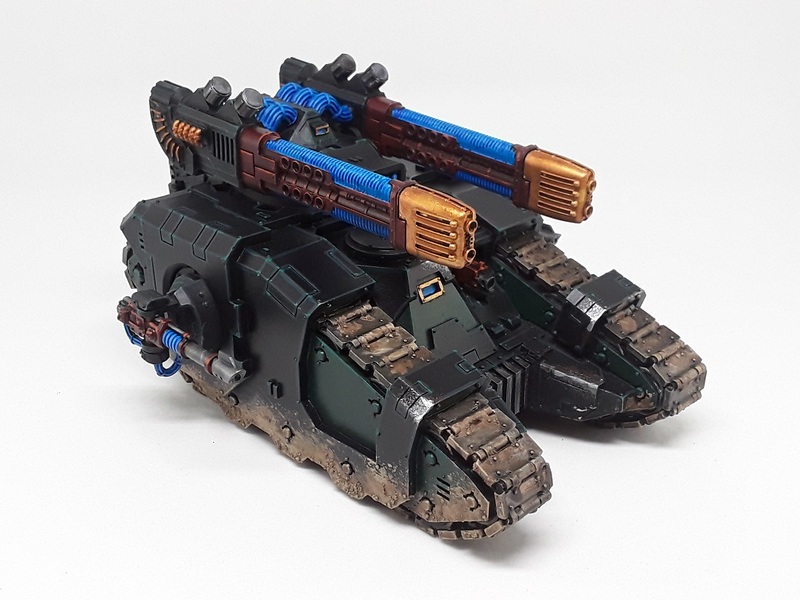 That plasma sicaran is mad. And the vigilator is quite wonderful. Every time I zoom in on these I notice some new cool nuance or detail. Well done! Thanks man! I was initially a little blah about the texture paint right out of the bottle, but once it got some further drybrushing and washes they really do add a lot to the weathering! 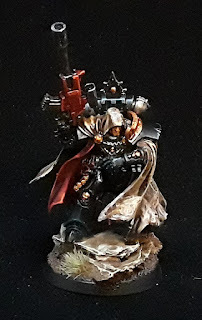 Impressive looking stuff mate and I really like the Cypher conversion especially. Necromunda - Shipping Container Shops Complete! Necromunda - Shipping container shops built! Heresy Era Dark Angels - Army ready for NOVA!